More than 100 people lost their lives through suicide in prisons in England and Wales in 2016, an all-time record since current recording practices began in 1978. The Howard League for Penal Reform says it was notified of 102 people dying by suicide behind bars between January and December 2016 – one every three days. The prison suicide rate, at 120 deaths per 100,000 people, is about 10 times higher than the rate in the general population. Recommendations to tackle the problem are set out in a new report, ‘Preventing Prison Suicide’, jointly published by the Howard League and another charity, Centre for Mental Health. The report states that urgent action is needed, and that prisons must become safer, healthier places to reduce suicide risk. The rise in the number of prison suicides has coincided with cuts to staffing and budgets and a rise in the number of people in prison, resulting in overcrowding. They say violence has increased and safety has deteriorated with prisoners spending up to 23 hours a day locked in their cells; the imposition of prison punishments has increased, and a more punitive daily regime was introduced in prisons at the same time as the number of deaths by suicide began to rise. The report calls for the revised Incentives and Earned Privileges (IEP) scheme, introduced in prisons in November 2013 by the then Secretary of State for Justice, Chris Grayling, to be scrapped as prisoners are being deprived of valuable coping mechanisms at a time when they most need it. Some prisoners, including all newly convicted prisoners spending their first two weeks in prison, have limits placed on family contact, physical activity and access to their money and possessions. It recommends that the revised IEP scheme should be replaced with a new incentive scheme that rewards positive behaviour, encourages participation and recognises the needs of the most vulnerable. Maintaining family relationships, physical exercise and socialising with others should be regarded as part of a normal, healthy life, not as privileges that have to be earned. 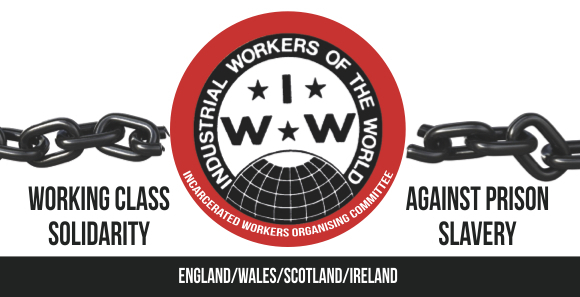 IWW/IWOC – End Deaths in Custody Now! Why should free workers care about prisoners?